750,000 Views Later, The Tech Field Day Audience Keeps Growing! A few years back, we summarized the viewership of a few Tech Field Day events and were happy to report 90,000 video views. Now that 2014 is behind us, we wanted to revisit these numbers and see how things have changed. My, how we’ve grown! 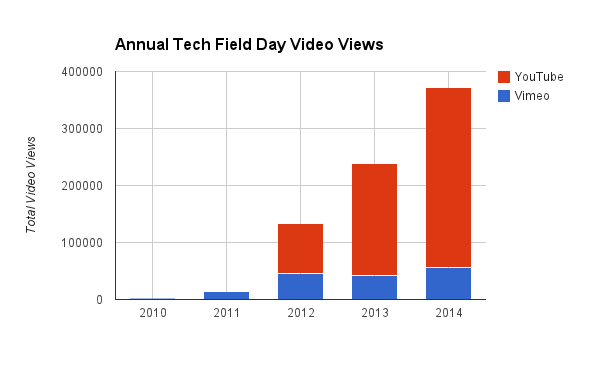 Back in 2013, we recorded 90,000 views of the videos posted for the 14 full Tech Field Day events we had hosted through 2012. This number included both YouTube and Vimeo views but excluded non-presentation videos and other events. So 90,000 views was a very good number! What a difference a few years makes. 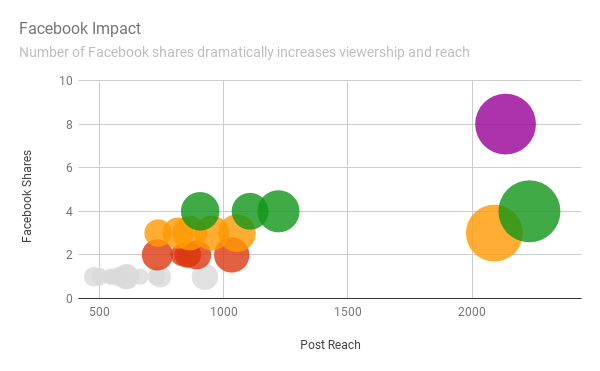 We actually had substantially more than 90,000 video views once we included all the different Tech Field Day content (including roundtable discussions, symposia, and interviews) and it has exploded since then. We went from 2,000 views in 2010 to 14,000 in 2011, 133,000 in 2012, and 238,000 in 2013. But 2014 was something else entirely, with 372,000 views that year alone, as much as all previous years put together! Added up, that totals an amazing 759,399 video views for 2010 through 2014! It sure sounds like our Tech Field Day content is appreciated and enjoyed by the IT folks who follow us! Of course, statistics are only worth so much. We used to not post the video recordings of our sessions, and we believe Tech Field Day would be worth doing even without the videos. It’s really about the technical community and the experience for our presenting companies and independent delegates. Sharing knowledge is the most important element of what we do, and the videos are just one aspect of that. But it’s nice to know that three quarters of a million views go along with it!